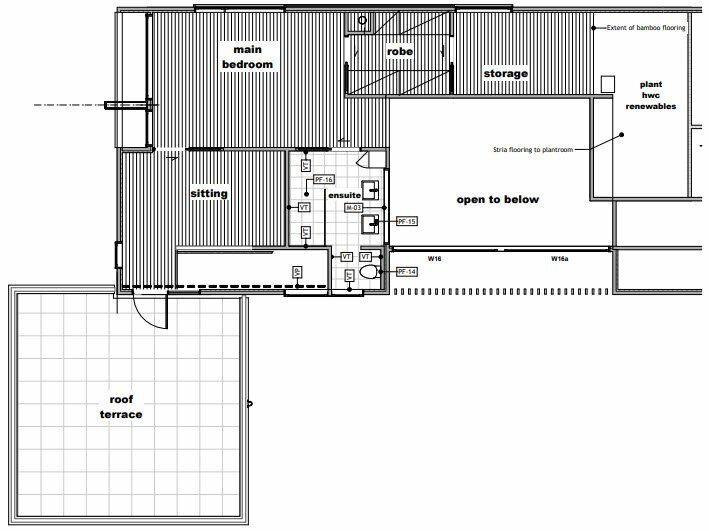 iDEAL House | Sustainable Engineering Ltd. The owners of this large, modern home were well-informed about high-performance homes and knew what they wanted: he was GM of Knauf Insulation and she worked for the Green Building Council! 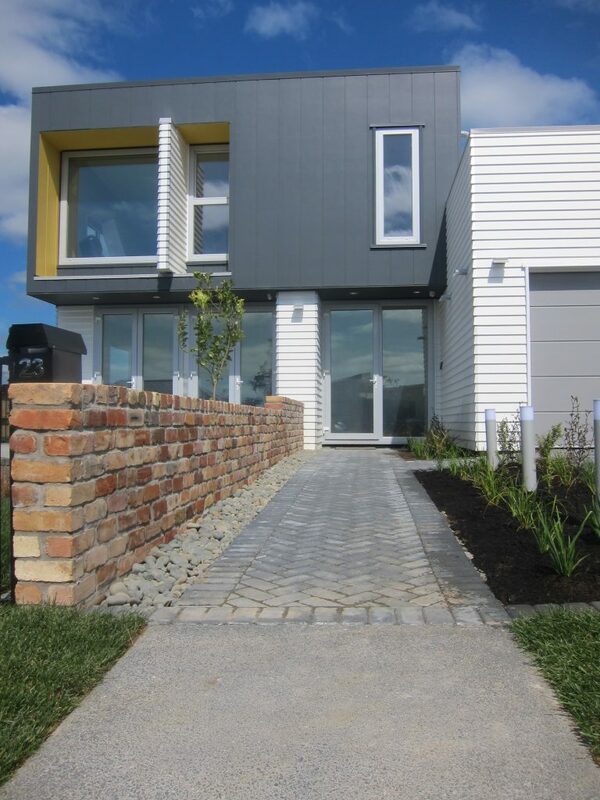 The house spans 245 m2 over two levels in a greenfields development south-east of Auckland and was completed in 2014. It boasts four bedrooms, two bathrooms, two living areas, a small TV room and a double garage. A grid-tied, 8kW photovoltaic array produces around twice what the home consumes over a year, including charging an electric car. The home stays between 20-25 ºC year-round—without heating—and a heat-exchange balanced ventilation system means indoor humidity is 20-30% lower than a conventional house. The build illustrates how Passive House concepts can overlay other standards; the home earned 10 stars on the Homestar scale, its top rating. 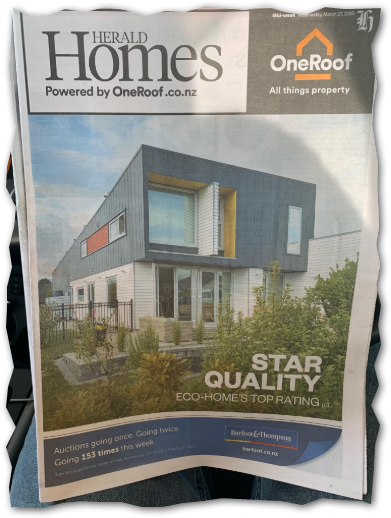 Homestar features include capacity to collect and store 50,000 litres of rain water, native plantings, accessibility and environmentally-friendly materials like Earthwool Glasswool insulation. 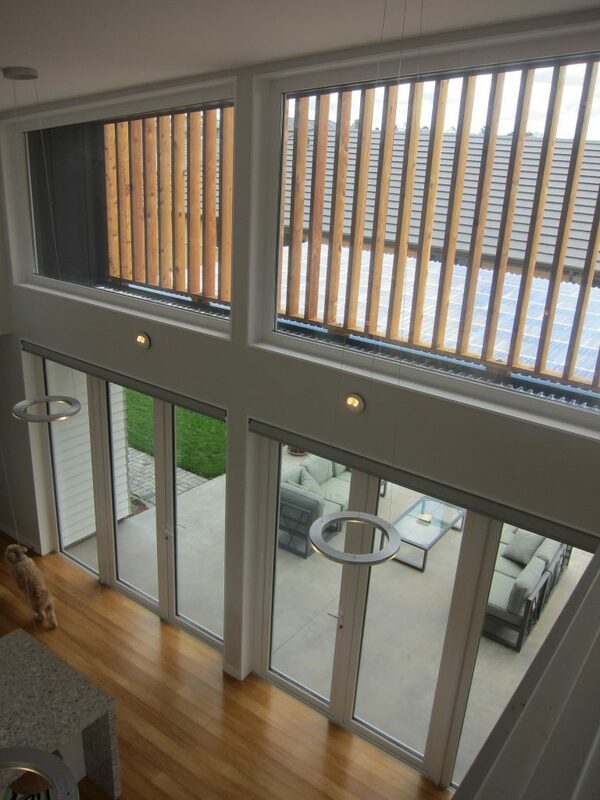 The owners wanted a Passive House built as close to “normal” New Zealand construction methods as possible and accordingly, specified aluminium joinery — thermally broken and triple glazed. This proved challenging to source locally at the time, and the build was delayed while uPVC windows were imported from Europe. The walls are double-layer timber construction. The roof is constructed using I-beams and insulated with R5.2 glasswool above the Intello air tightness membrane; a 75 mm rondo suspended ceiling provides room for fresh air ducting. 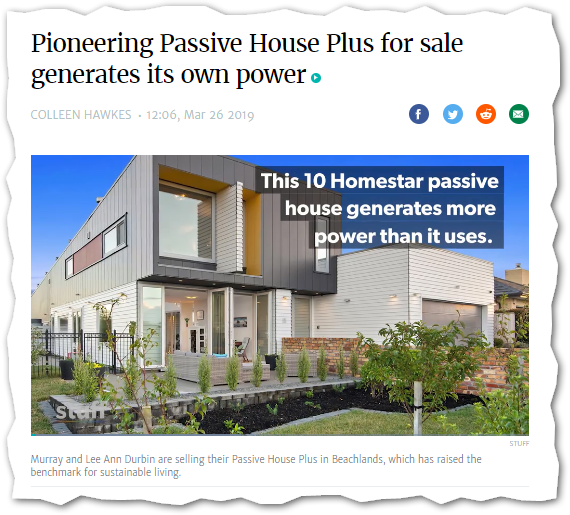 In contrast to most New Zealand Passive Houses, the foundation is a standard pod raft slab with poured concrete nib, with insulation located above the concrete slab. Bamboo flooring was selected for its durability. 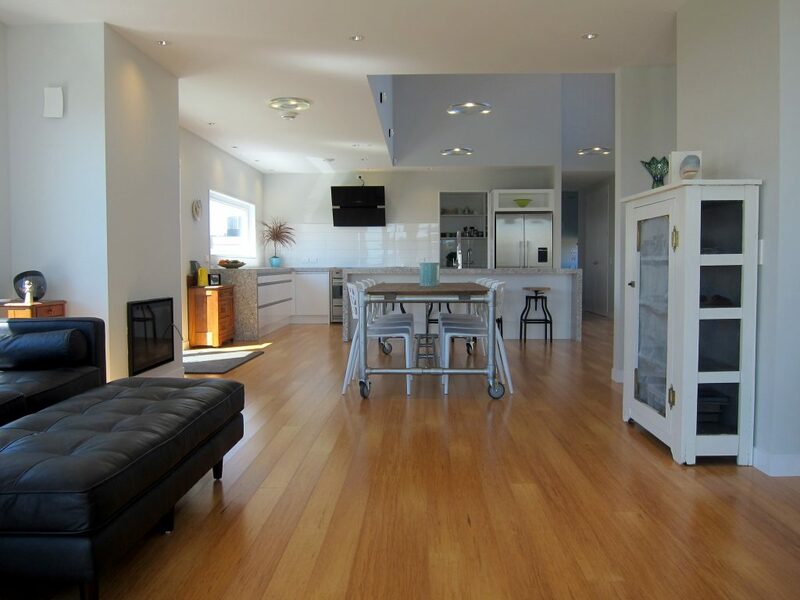 A blog (www.idealhouse.org) extensively documented the build and the owners generously ran fortnightly open homes for two years in order to educate and inspire others about the benefits of high-performance, sustainable homes. The owners subsequently launched a new company, Enveloped, to provide advice and supply and install the components needed to build quality homes like theirs. Like most projects there are always a few lessons learned. Next time they will insist on recessed windows and better incentivising the contractors to manage construction waste as well as spending more time ensuring that all of our contractors and subcontractors were on board with the attention to detail required for achieving this type of project. 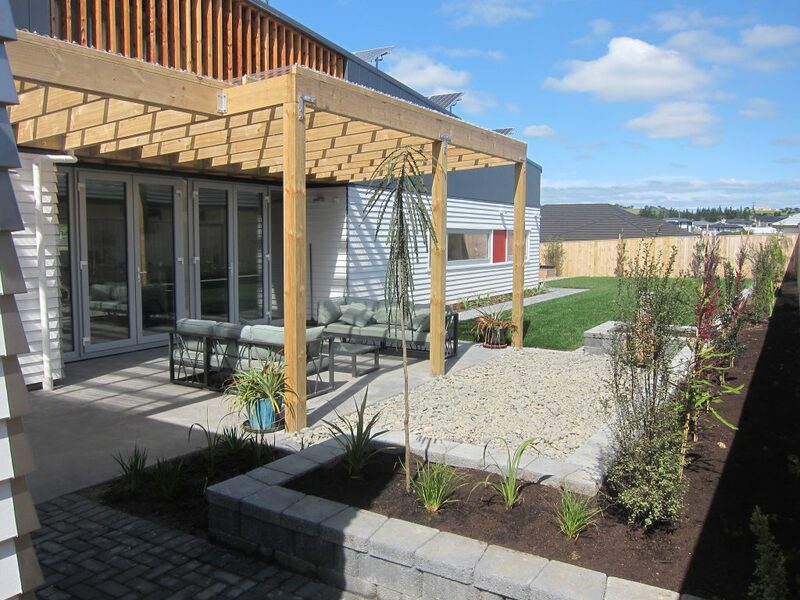 Unlike most Passive House projects the building changed the owners lives significantly, resulting in a new construction management and products business, Enveloped as well as leading roles in sustainable building in New Zealand. Timber frame with fiberglass insulation and Intello system for airtightness. 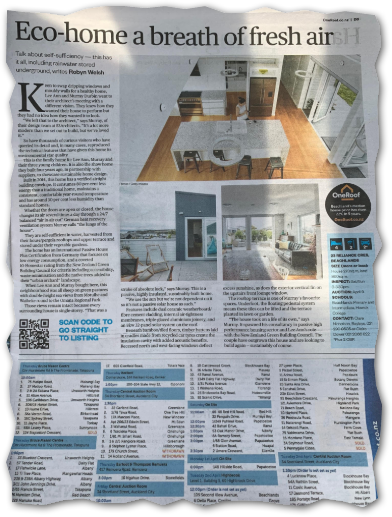 Murray and Lee Ann Durbin know all about open homes. 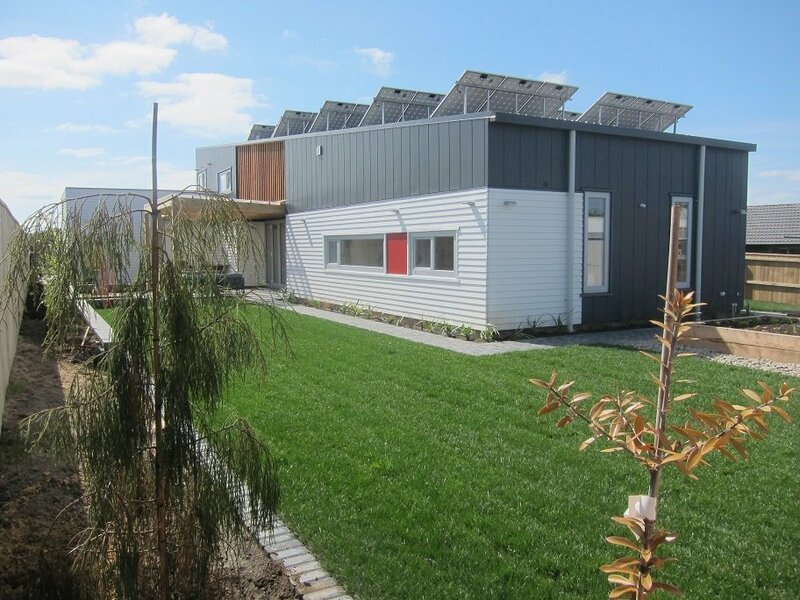 When they built their pioneering Passive House Plus in Beachlands, Auckland five years ago, they were so keen to tell others about the benefits they opened their home to the public every fortnight for two years. Today, the house is still pioneering – it sits in a new suburban neighbourbood on an 860 square-metre section. Yet, with its 8kW photovoltaic array, it generates around twice as much power as it needs, so the excess is sold to the national grid.